Real Estate as a business has always been evolving. From listings being published in Printed Directories to the Various online portals that exist today. It is hard keeping up with the latest trends and its impact on your business. Whether you’re a new agent just starting off or a veteran who has seen this evolution first hand, this post will give you a quick breakdown of the Race for Real Estate Leads. Agents and Brokers are no longer only competing against each other for Buyer & Seller Leads. They are directly competing with the online portals that seem to dominate the search engines. This has proven to be both Expensive and Exhausting. It’s one thing when you have to compete against your colleagues but when you have to now compete against companies that are spending hundreds of millions of dollars for those same buyer & seller leads the question becomes, How can you compete? Let’s look at the landscape. There are two main competitors that Realtors need to contend with. Trulia and Zillow. These companies have positioned themselves well by leveraging the vast amount of real estate data found online and providing that info to buyers & sellers for free while at the same time charging agents & brokers a premium to take full advantage of their service. They also dominate the search engines which is why most agents & brokers just give in and pay to be featured on these sites. But what does that mean for your business? It means that you are relinquishing control of your lead generation to a third party site that is competing with you online. Even if you are one of the growing group of agents that realize that this doesn’t make sense as a business model, these companies are so large that you might be paying them and helping their search engine rankings without even knowing it. How so? Continue reading. Besides their main business which we are all familiar with, they also have a bunch of subsidiary companies that many in the Real Estate Industry use. Active Rain – This is one of the largest Social Media Networks for Realtors online and has been recently aquired by Trulia. Market Leader – This company was purchased by Trulia for over $355,000,000 and is a large provider of web solutions for realtors including IDX. 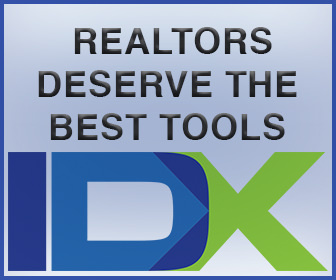 Diverse Solutions – IDX Provider that is owned by Zillow. Postlets – Another Zillow company that allows you to post rentals and listings for free. These are just some of the services these two giants control that are used my the vast majority of Realtors. Now if you use any of these services then you are directly helping them to maintain and increase their online dominance. Side Note: I do think joing Active Rain is a good idea. It allows you to network with other Realtors and this has many benefits. You can join for free but just don’t feel obligated to pay for an upgraded account. Beyond these services, they also provide Widgets and Code Snippets that Realtors can place on their websites like Mortgage Calculators or Contact Forms that all have an embedded link to their website therefore helping their search engine optimization. With these companies you are Renting your leads! With your own website you own your leads! If you want to control your Real Estate Business, then it’s important that you control how you generate leads. This means investing in your business versus investing in the companies that compete against you online. How do I get traffic for my website? I would like to say this is easy but in reality it does take some effort on your part. Below are some things you can do to increase traffic to your website. These are just a few steps to increasing traffic. By following these steps you will start to generate a robust local following and increase your Brand Recognition which is vital to your business. Domain Name for your Website – This is the first step. Make it something short and simple. Hosting account – Your Website needs to be hosted on a server in order to be accessed across the internet. IDX Solution – Best option is one that is not owned by your competitor. A domain name costs about $10 per year. Your hosting account will cost less than $10 per month and your IDX Solution will cost about $60 per month. 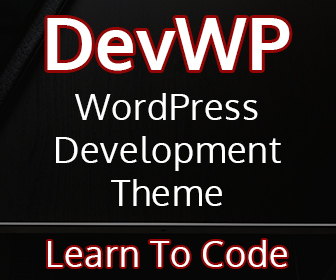 A professionally designed website starts at $500 but there are discounts and savings that might apply. Here are the links you will need to get started. 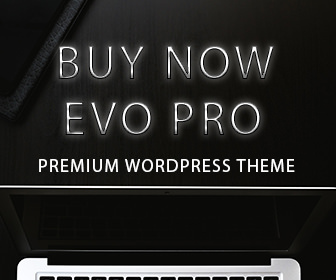 Domain Name & Hosting – Competitive Pricing. IDX Broker Platinum – With us your $99 setup fee is waived. David vs Goliath, You can Win! As Real Estate is constantly evolving, it’s important to stay ahead of the times. Creating a true online identity will increase your Brand Awareness and ensure long term success. If you want to stay current, subscribe to our blog. About me: I am a Realtor, Web Designer and Approved Developer Partner with IDX Broker which is the premier IDX Solution for Realtors. I am also a Reseller of Domain Names & Hosting. I have created these partnerships so that I coud provide a cost effective, quality web solution thats proven to be effective.